The original WHI study (second arm) enrolled about 10,000 women after hysterectomy. 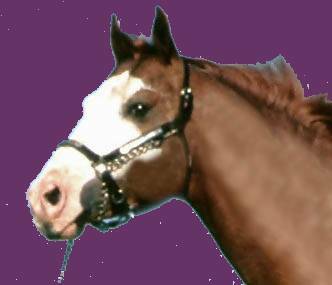 Half were given placebo, and the other half were given Premarin ( a horse estrogen) Premarin is also called CEE for Conjugated Equine Estrogen. The original report in JAMA 2004 included 6.8 years of follow up showing 23% less invasive breast cancer in the Premarin treated group (also called CEE) compared to placebo group . There were 94 breast cancer cases in the estrogen hormone group (CEE) and 124 cases of breast cancer in the placebo group. In addition, there was 9% less heart disease, and 39% less hip fracture in the estrogen hormone treated group. The Premarin pill caused increased clotting (hypercoagulable state) resulting in increased stroke and pulmonary embolus in the Premarin Pill users, which caused early termination of the study. This is one reason why topical estrogen is preferable to pill form estrogen. Topical delivery of estradiol (bioidentical estrogen) does not cause increased coagulability, does not increase risk for CVA or stroke, is safer and the preferred delivery route. The original WHI group of women were followed for an additional 6 years, for a total of 11.8 years of follow up, and this data was reported in Lancet Oncology by Garnet L Anderson PhD, and Rowan T Chlebowski (3,4). In addition, in the estrogen hormone treated group, there was a 63% per cent reduction in death from breast cancer. 16 women died from invasive breast cancer in the placebo group, compared to only 6 in the hormone treated group. 2) Reduced Risk of All Cause Mortality with improved survival numbers in the hormone treated group. 3) They advise women to avoid PremPro (the combined HRT pill ) which adds in a synthetic progestin, as the synthetic progestin IS associated with increased breast cancer. The WHI study showing the Estrogen reduces risk of breast cancer, reduces heart disease, reduces risk of hip fracture, and other and health benefits was done with Premarin, a horse estrogen. You might ask the obvious question, “Why Did The Study Not Use Estradiol”, which is a human hormone (a bioidentical hormone)? Why use estrogen from a horse when human estradiol in available? The answer is obvious. The NIH is a branch of the government and the government is controlled by the Pharmaceutical industry which makes Premarin. We need the NIH to do studies for the benefit of the people, not the drug industry. We need to repeat the WHI study using estradiol and progesterone, and never again victimize women with the carcinogenic PremPro pill ( Premarin and Provera) which was shown to cause breast cancer and heart disease. In retrospect, the Lancet Oncology findings have been known for decades. Bioidentical Hormone users are healthier and live longer than non-hormone users. Bioidentical Hormones do not cause increased breast cancer risk, and are associated with all the health benefits shown in the Women’s Health Initiative (second arm) for women using estrogen alone. Premarin is not human, but it is natural. A much more better HRT program is the combination of human bioidentical estrogen available as Bi-Est (Estradiol and Estriol), with the addition of Progesterone a human bioidentical hormone. This is the program we use in our office. 2011 WHI Follow Up Study shows less breast cancer in homone users. Over the entire follow-up, lower breast cancer incidence in the CEE group persisted and was 0.27% compared with 0.35% in the placebo group (HR, 0.77; 95% CI, 0.62-0.95). 94 CEE 124 placebo and this comparison narrowly missed statistical significance (P = .06). hip fracture, 0.61 (0.41-0.91) with 102 cases. Idiotic statement – the previously quoted studies used progestins. Methods Between 1993 and 1998, the WHI enrolled 10,739 postmenopausal women from 40 US clinical centres into a randomised, double-masked, placebo-controlled trial. Women aged 50—79 years who had undergone hysterectomy and had expected 3-year survival and mammography clearance were randomly allocated by a computerised, permuted block algorithm, stratified by age group and centre, to receive oral conjugated equine oestrogen (0·625 mg per day; n=5310) or matched placebo (n=5429). The trial intervention was terminated early on Feb 29, 2004, because of an adverse effect on stroke. Follow-up continued until planned termination (March 31, 2005). Consent was sought for extended surveillance from the 9786 living participants in active follow-up, of whom 7645 agreed. Using data from this extended follow-up (to Aug 14, 2009), we assessed long-term effects of oestrogen use on invasive breast cancer incidence, tumour characteristics, and mortality. We used Cox regression models to estimate hazard ratios (HRs) in the intention-to-treat population. Findings: After a median follow-up of 11·8 years (IQR 9·1—12·9), the use of oestrogen for a median of 5·9 years (2·5—7·3) was associated with lower incidence of invasive breast cancer (151 cases, 0·27% per year) compared with placebo (199 cases, 0·35% per year; HR 0·77, 95% CI 0·62—0·95; p=0·02) with no difference (p=0·76) between intervention phase (0·79, 0·61—1·02) and post-intervention phase effects (0·75, 0·51—1·09). In subgroup analyses, we noted breast cancer risk reduction with oestrogen use was concentrated in women without benign breast disease (p=0·01) or a family history of breast cancer (p=0·02). In the oestrogen group, fewer women died from breast cancer (six deaths, 0·009% per year) compared with controls (16 deaths, 0·024% per year; HR 0·37, 95% CI 0·13—0·91; p=0·03). Fewer women in the oestrogen group died from any cause after a breast cancer diagnosis (30 deaths, 0·046% per year) than did controls (50 deaths, 0·076%; HR 0·62, 95% CI 0·39—0·97; p=0·04). Our findings provide reassurance for women with hysterectomy seeking relief of climacteric symptoms in terms of the effects of oestrogen use for about 5 years on breast cancer incidence and mortality. However, our data do not support use of oestrogen for breast cancer risk reduction because any noted benefit probably does not apply to populations at increased risk of such cancer. 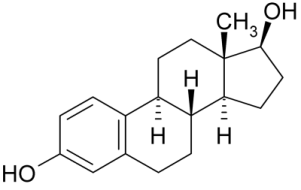 Estrogen alone for the period we studied seems to be pretty safe and maybe even beneficial.” Researchers followed 7,645 women from the original group of almost 11,000 participants for almost five years to see what happened to them after stopping estrogen therapy. The study found that women who took estrogen had a 23% reduced risk of breast cancer compared with those who took a placebo. Among the women who did develop breast cancer, those who took estrogen had a 63% reduced risk of dying from the disease compared with those who took a placebo. Women who use the oestrogen-only form of hormone replacement therapy (HRT) appear less likely to develop breast cancer in the longer term, according to new research published Online First in The Lancet Oncology. A follow-up study of over 7500 women from the Women’s Health Initiative (WHI) trial who took oestrogen for about 6 years and then stopped has found that they are over 20% less likely to develop breast cancer and remain significantly less likely to die from the disease than those who never used HRT, a period of nearly 5 years after stopping treatment. Estrogen pills reduce breast cancer risk in study of menopausal women By CBS News Staff “Estrogen on its own appears to be safe,” said Dr. Anthony Howell, professor of medical oncology at the University of Manchester, who co-authored a commentary in the same issue. This is my response to Tara Pope’s article yesterday in the New York Times. I have no idea if they will print my letter but I thought you’d like my perspective. Her article follows my response. Ms. Pope ignores the existence of biodidentical hormone replacement therapy. Estrogen-Only Therapy May Reduce Breast Cancer Risk TUESDAY March 6, 2012 — Some women who take estrogen-only hormone replacement therapy to stave off hot flashes, night sweats and other symptoms of menopause may be at lower risk for developing breast cancer down the road, a news study says. Study: Estrogen treatment may protect against breast cancer Posted on: March 8, 2012, by Nina Sparano, DENVER — Estrogen, a hormone known to fuel breast cancer, may actually protect against the disease. According to a new study women taking Hormone Replacement Therapy (HRT) are more than 20-percent less likely to develop breast cancer and had a reduced risk of dying from the disease. More than 7,600 women taking HRT were studied. Women who took estrogen-only for six years and then stopped taking the hormone showed the reduced risk. The new study, published in the journal Lancet Oncology, provides the strongest evidence yet that estrogen alone not only lowers breast cancer risk for a sustained time for some women but curbs the chances of dying from the disease. 16) blog.dslrf.org/?p=497 Estrogen and Breast Cancer: It’s Complicated! The conventional wisdom is that estrogen causes breast cancer. Compared to women taking a placebo, women who took estrogen had a 23% reduced risk of invasive breast cancer. That means 151 women got breast cancer in the estrogen group compared to 199 women assigned to the placebo. Women taking estrogen also had a 63% reduced risk of dying from breast cancer compared to women on the placebo. Overall, there were six deaths in the estrogen group compared to 16 in the placebo group. studies which show that estrogen causes breast cancer (????) They included progestin use which DOES CAUSE breast cancer…. Collaborative Group on Hormonal Factors in Breast Cancer . Breast Cancer Risk in Relation to the Interval Between Menopause and Starting Hormone Therapy by Valerie Beral, Gillian Reeves, Diana Bull, Jane Green and for the Million Women Study JNCI J Natl Cancer Inst (2011) 103 (4): 296-305. Main Outcome Measures Breast cancer number and characteristics, and frequency of abnormal mammograms by estrogen plus progestin exposure. Results In intent-to-treat analyses, estrogen plus progestin increased total (245 vs 185 cases; hazard ratio [HR], 1.24; weighted P<.001) and invasive (199 vs 150 cases; HR, 1.24; weighted P = .003) breast cancers compared with placebo. The invasive breast cancers diagnosed in the estrogen plus progestin group were similar in histology and grade but were larger (mean [SD], 1.7 cm [1.1] vs 1.5 cm [0.9], respectively; P = .04) and were at more advanced stage (regional/metastatic 25.4% vs 16.0%, respectively; P = .04) compared with those diagnosed in the placebo group. After 1 year, the percentage of women with abnormal mammograms was substantially greater in the estrogen plus progestin group (716 [9.4%] of 7656) compared with placebo group (398 [5.4%] of 7310; P<.001), a pattern which continued for the study duration. Conclusions Relatively short-term combined estrogen plus progestin use increases incident breast cancers, which are diagnosed at a more advanced stage compared with placebo use, and also substantially increases the percentage of women with abnormal mammograms. These results suggest estrogen plus progestin may stimulate breast cancer growth and hinder breast cancer diagnosis. There is little mention of the use of natural progesterone like Prometrium in this article.. Most information that I have read expresses that there is danger in using estrogen unapposed by progesterone..I also read an article that explained that the most recent Danish study showed that the most protection for heart disease was obtained by taking estrogen and progesterone in a cyclical pattern mimicking a woman’s normal cycle: a period of estrogen alone, then a period of estrogen with progesterone, etc repeatedly. I respectfully am uncomfortable with the information in your article which seems to be encouraging the use of estrogen alone. I hope that if I misunderstood the information that you will clarify it for me. 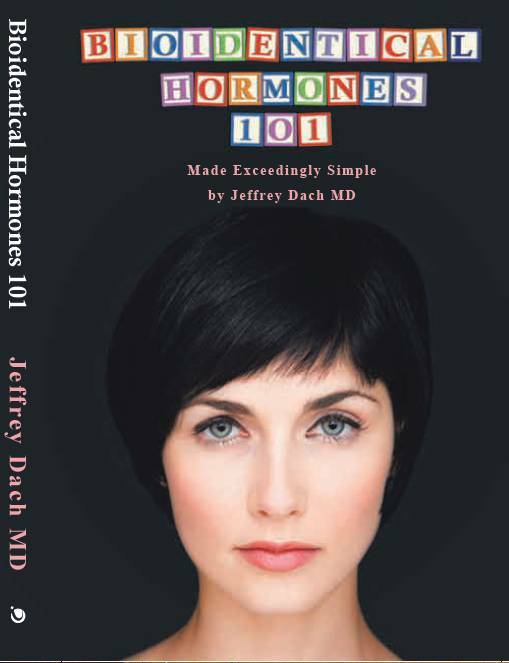 if you read my book and my other blog entries, you will quickly learn that I never use estrogen alone as progesterone must always be given along with estrogen. I have been writing about this for many years. I am not familiar with any Danish study showing cyclic administration of hormones confers more protection from heart disease. Could you provide the citation please?? My previous article deals with this topic. However, cyclic administration is not required for protection from heart disease.